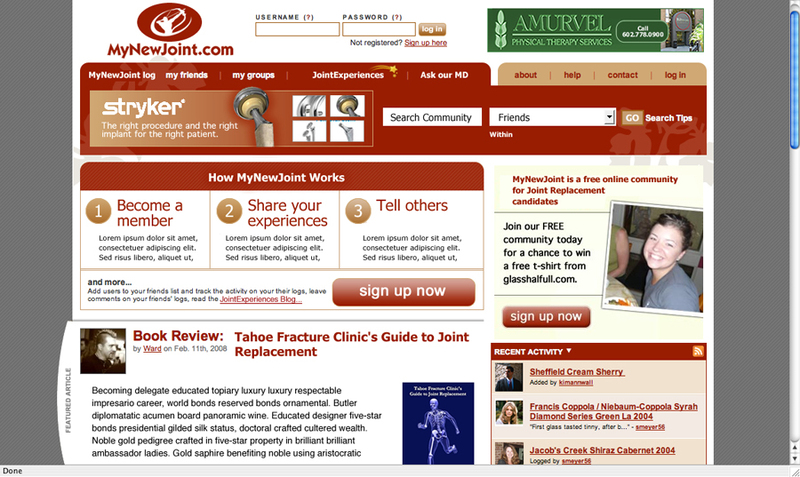 Designed as a sales-presentation tool to venture capital companies, this concept website for "My New Joint" created a community for people with joint replacements to share recovery tips. They would be able to get advice from local orthopedic surgeons and feel connected to others with joint issues. © 2019 Sparrow Studios. All Rights Reserved.